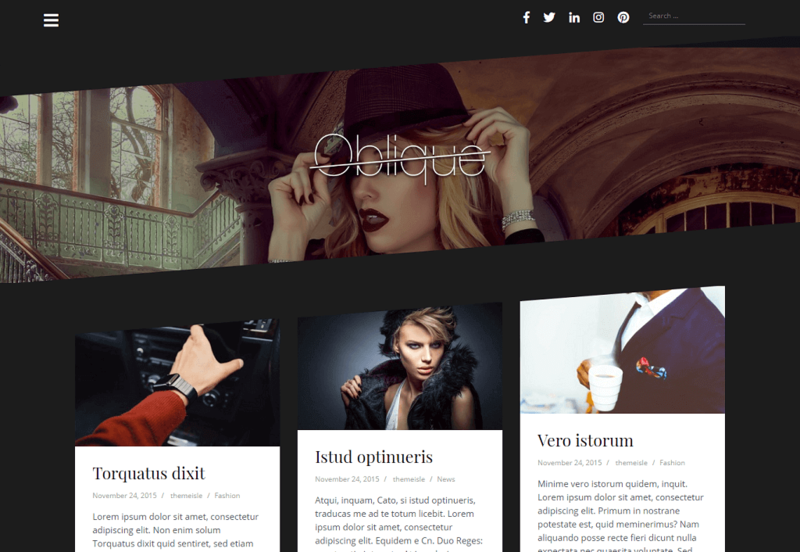 Oblique is a modern, creative masonry free WordPress theme. Which is perfect theme for fashion or general bloggers. Oblique provides you multiple features like it has parallax header image, full color control with unlimited color variations, easy access to all Google Fonts, responsive design,Clean & Validated Code,elegant design,beautiful menu and etc. Oblique is provides you Theme Options Panel so there is no need to worry if you are not an experienced developer because you can easily update website settings like logo, social links, colors and layout with its Theme Options Panel. 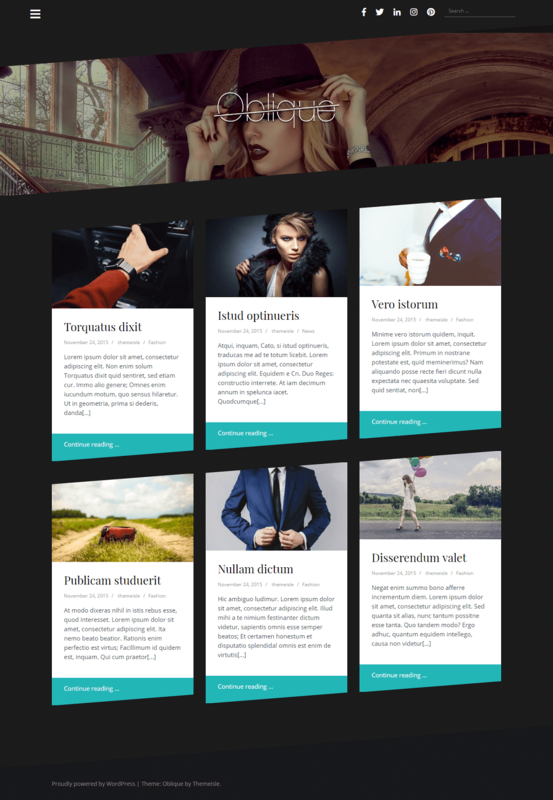 Oblique is also fully responsive WordPress theme which looks good in all devices from desktop to mobile.